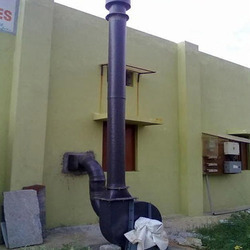 Leading Manufacturer of frp industrial chimney and frp chimney from Ankleshwar. 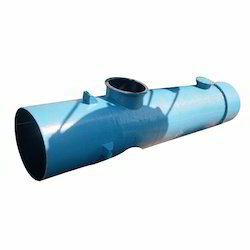 We as a manufacturer of the FRP products has earned substantial fame worldwide for delivering absolutely efficient solutions concerning pollution control in terms of the FRP chimney, is highly sought after product in the thermal plants, chemical industries, petrochemical industry and other analogous industries for controlling pollution. These FRP chimneys are designed specifically to perform its operation impeccable and manufactured under strict quality control processes to deliver a range of the FRP chimneys that is of the highest quality. We as a manufacturer of the industrial chimneys also provide a cost-efficient version of this FRP chimney is an FRP Industrial Chimney, wherein the PP material is used in the construction, whilst FRP coating is applied to the chimney to leverage the FRP features, including excellent corrosion resistance, temperature resistance and long service life. Both types of industrial chimneys offered shares quality construction finish and are excellent under the working industrial environments. We are an acclaimed name indulged in offering our patrons a superior quality range of FRP Chimney.